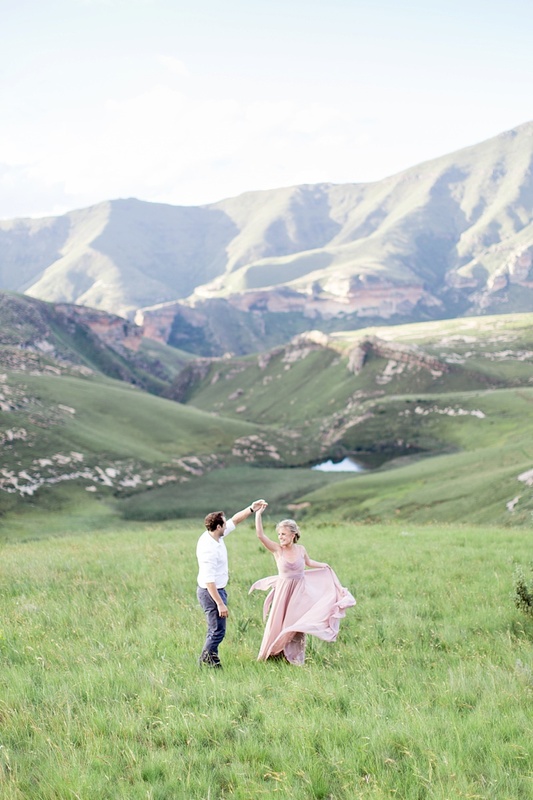 Lovebirds celebrate their engagement, ethereal beauty, and magical sunlight in the Golden Gate Highlands National Park. 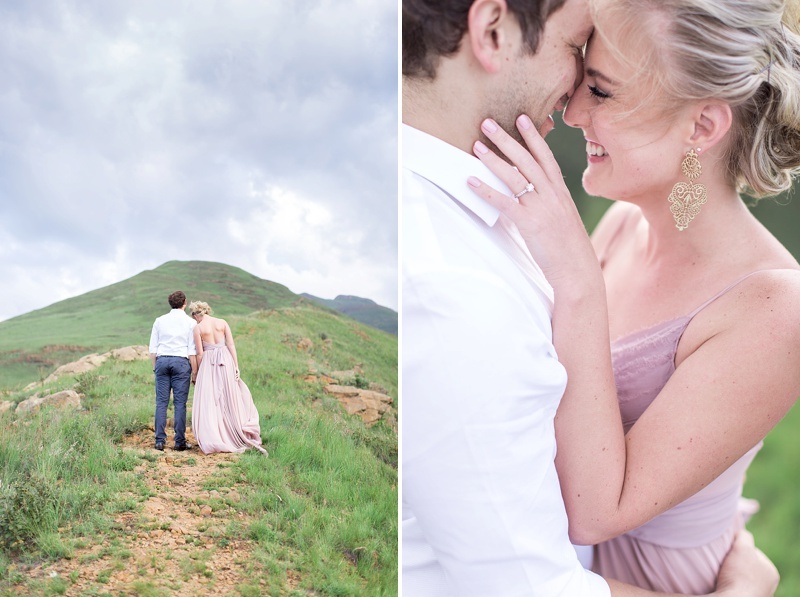 hen a proposal happens on a mountain, then it would only be more perfect to have destination portraits taken to celebrate that engagement on another equally gorgeous mountain. 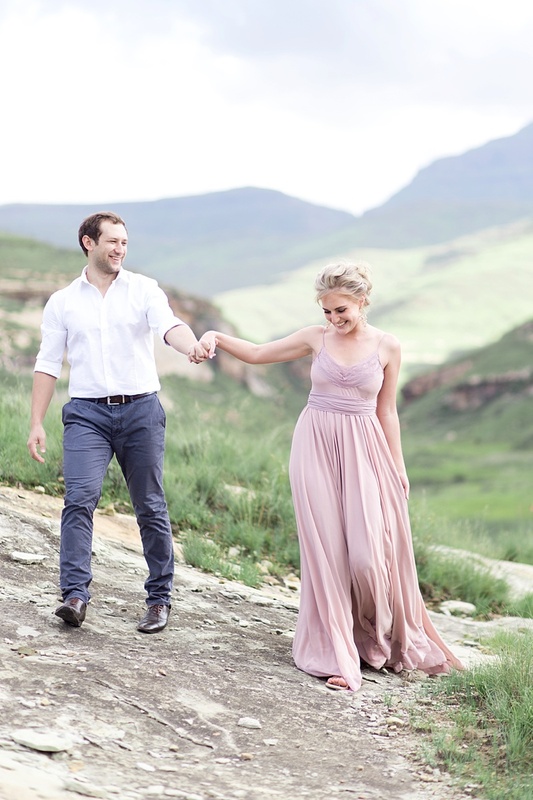 And that's exactly what happened with Faf and Stephanie at Golden Gate National Park in Clarens, South Africa with their photographer, Ian Odendaal. Known for its golden sandstone cliffs, diverse wildlife (including zebras! 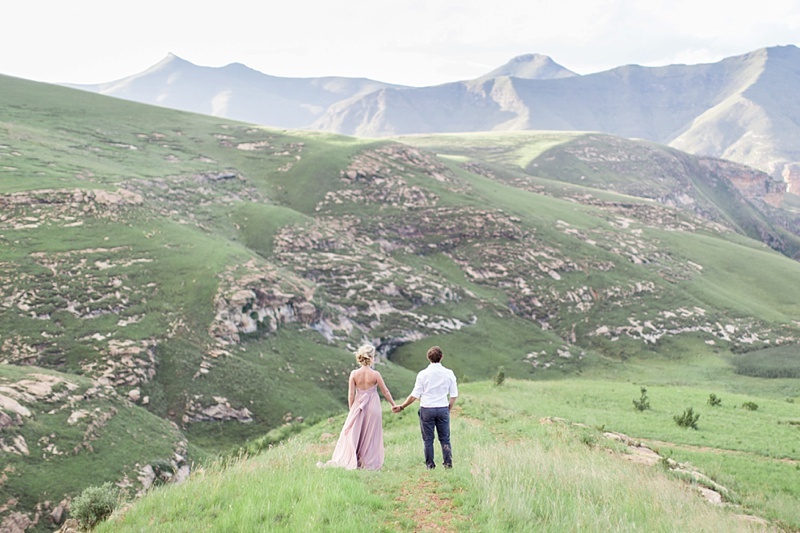 ), and ancient rock paintings by bushman ancestors, the park is located in the foothills of the Maluti Mountains in the South African province, Free State. The moment you arrive, there's no doubt that this is a magical place meant for a romantic afternoon with some of the world's most beautiful light, especially at sunset. 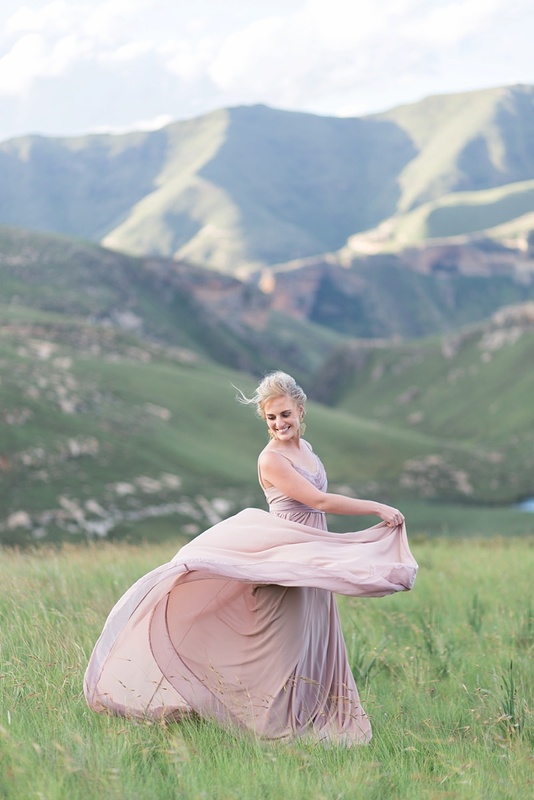 With Stephanie dressed in the loveliest diaphanous rose-colored gown of silk and chiffon complemented by Faf's navy blue chino pants, everything was a chic and wild dream under the African sun.